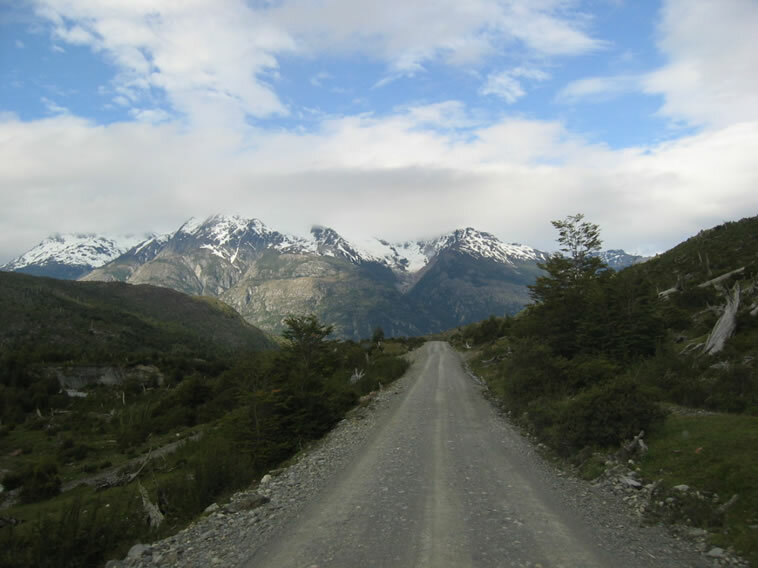 Having spent a comfortable night just outside of Villa O'Higgins, it was time to head back to catch the ferry and make our way towards the southernmost border crossing into Argentina - Paso Roballos. The weather was pretty gloomy as we made our way steadily back through the steep blind bends to catch the ferry at 13:00. 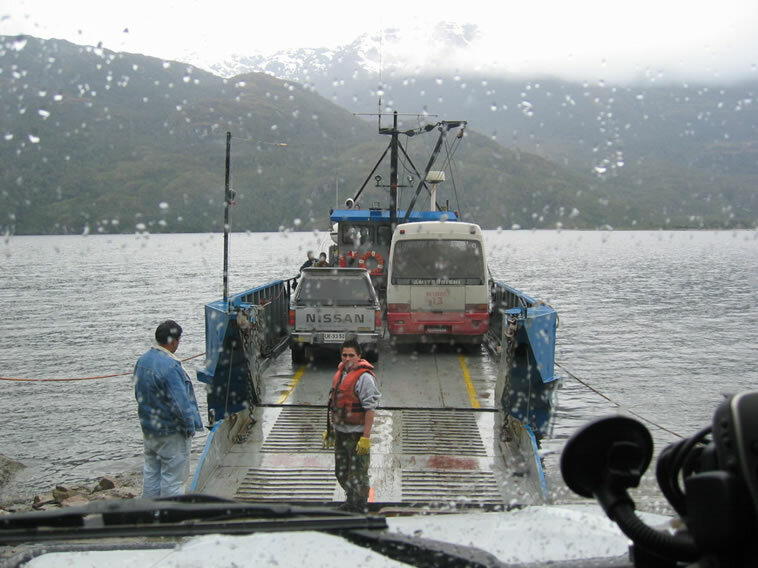 We were the first vehicle to arrive and were confident we would get on the next ferry back. 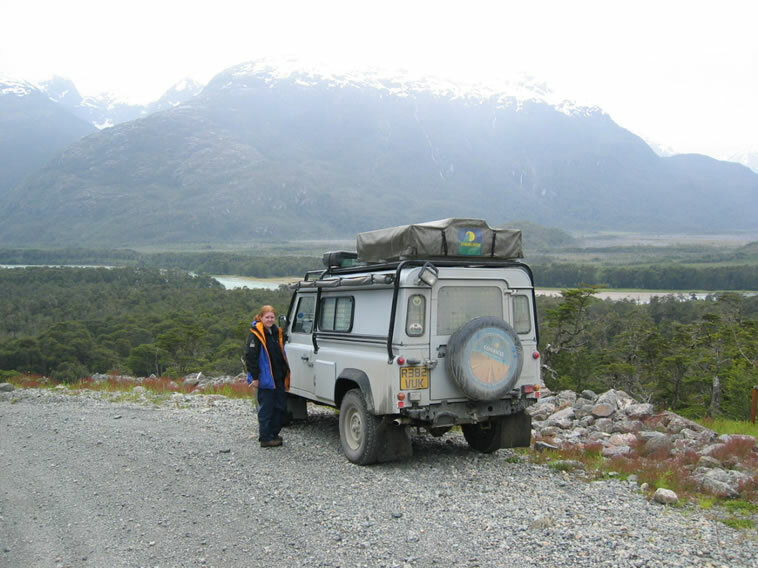 But then other cars/4x4s and even a bus turned up and parked in front of us. It was not looking good. Eventually there were about 7 or 8 cars all waiting for the ferry, which meant that at least three would have to remain behind and catch the next one. One guy came up to our truck and started to talking to us. He said that people respected "first come first served" so we should have no problems getting on the ferry. Nevertheless, as soon as the first vehicle started to get on board, we made sure we were not far behind and managed to get on. 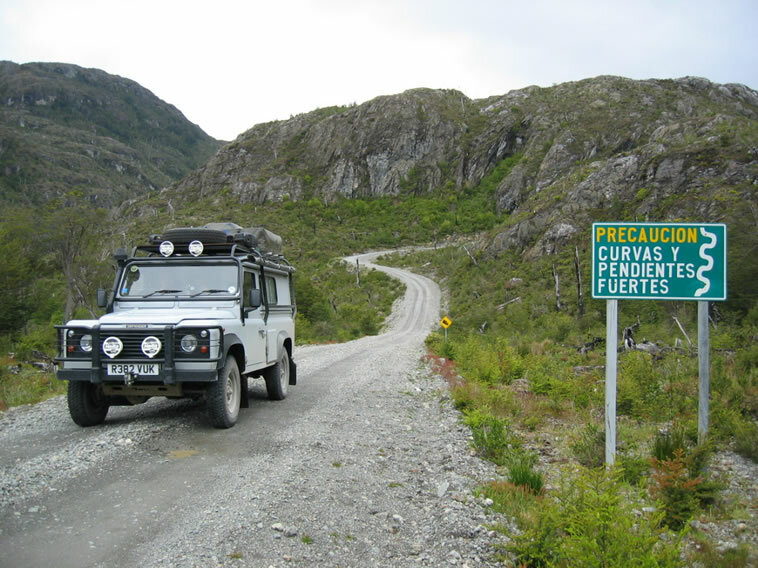 On arrival at Puerto Yungay, we made our way along the familiar road we had travelled up the day before and headed back to Cochrane for the night. As we got further north the weather started to clear up and the sun managed to peak out every now and then. The snowcapped mountains in the distance were now a lot clearer. The drive to Cochrane from Villa O'Higgins had taken us six hours and was a little livelier than it had been the previous Sunday when we drove through. We soon found a campsite at Hosteria Cochrane and after putting the tent up, welcomed the hot shower in the family's bathroom. The campsite is very friendly and comfortable. It is basically in the back garden of the Hosteria. They is room for vehicles and walk-in campers, water is available and there are picnic tables dotted around. 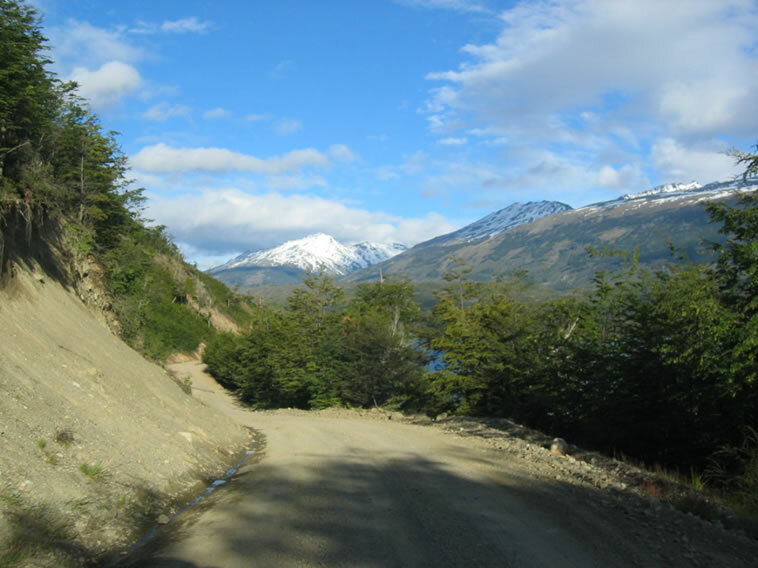 We met two cyclists from France heading down the Carretera Austral and hoping to get across to Argentina by the passenger boat mentioned in the guidebook They were really pushed for time and were hoping to catch a lift with a passing 4x4. 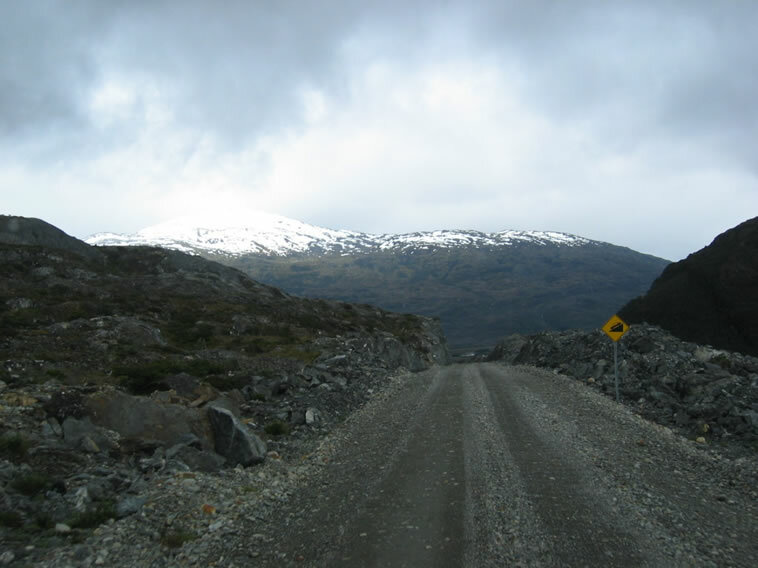 We had to warn them that we had seen very few vehicles as we had driven down and even less that would have been able to take them and their bikes. After getting cleaned up we hit the town and found a small internet cafe to catch up on emails. The link was probably the slowest we had experienced thusfar in the trip but it worked. Then a local bar for some beer and chips, before a good night's rest.